Why are there “HOT NEW” stickers on some Dreamcast games? The Sega Dreamcast – a beloved piece of gaming history. It was ill fated from the beginning, unfortunately. Several games were rushed to meet the launch of the console itself, and because of that, were found to have glitches. Mostly, the games from Midway in particular. This included games like Ready 2 Rumble, Mortal Kombat Gold, NFL Blitz, and Hydro Thunder. Posted in GamingLeave a Comment on Why are there “HOT NEW” stickers on some Dreamcast games? Microsoft Fastlane on future Lumias? 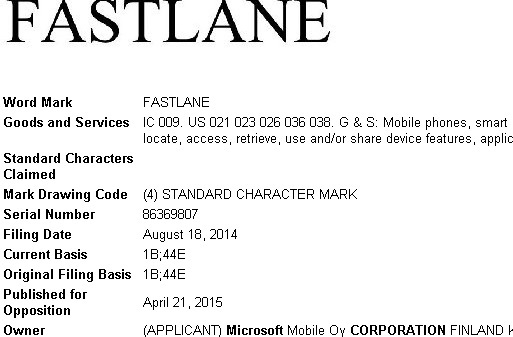 Microsoft Finland (in other words: formerly Nokia) filed a trademark on the name “Fastlane.” Fastlane is described as “computer software for mobile phones, smart phones and mobile tablet computers for enabling a user to customize the user interface and to quickly locate, access, retrieve, use and/or share device features, applications, information and files.” It was just recently moved in to the “published for opposition” phase to see if anyone else has a problem with Microsoft using a name that could be used by many other businesses. To me, it sounds almost like a version of Continuum that would allow you to send your current configuration to someone else’s device. I’m likely all wrong, it may just be a new version of the “share” button inside Windows Phones and Windows 10, but whatever Fastlane is, it will be interesting to see if it makes it to other products, or stays within the Lumia product line. When I first saw the name, I speculated it would be a Windows-based “Waze” competitor based on Nokia’s HERE Maps. Unfortunately, the description means I’ll have to keep dreaming. Posted in AppsLeave a Comment on Microsoft Fastlane on future Lumias? 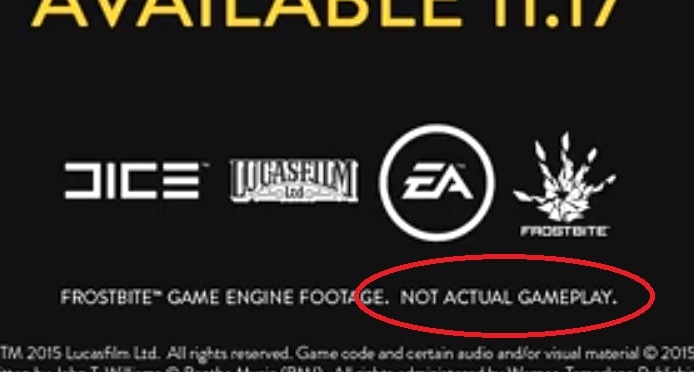 So then, everybody said “oh man, this game looks awesome!” The beginning of the trailer even states that this is in-engine footage. Here’s what we learned: the Frostbite engine is powerful and beautiful. What we should learn from watching this trailer? The game isn’t going to be that nice. The trailer shows what the engine is capable of, it does not show what the game is going to look like when we play it. This is only different from the old days of showing high-res cutscenes in commercials for games, only to have the game look far worse, in that these videos are being rendered in the same engine that the game will use. But these probably are not the same models, textures, animations, etc… that will be used in game. It is a joy to watch this trailer and see how movie-esque it is, but unfortunately, it’s just not going to look that good once you’re the one in control of the characters.